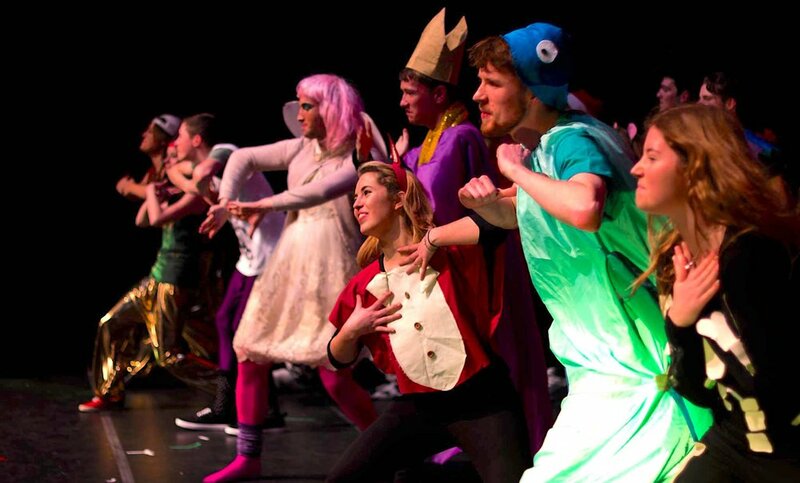 The VDP Panto is one of the biggest and best events in our calendar. Almost all the members of the society are involved in some aspect! Whether you fancy yourself as a performer, or prefer backstage pursuits such as costume, set or sound, you're guaranteed a good time and a wealth of memories from your involvement. Many of the members of Trinity VDP start out by joining the cast or crew of the Panto, and it's a fantastic way to meet new people as you stumble through dance routines and sing your hearts out together! Your co-stars are the kids from the VDP activities, featuring a consistently show-stealing performance from Trinity Club. It's amazing to see the kids shine on the stage after months of rehearsals! Auditions will be running throughout Freshers Week. Come down to the stand to get involved! 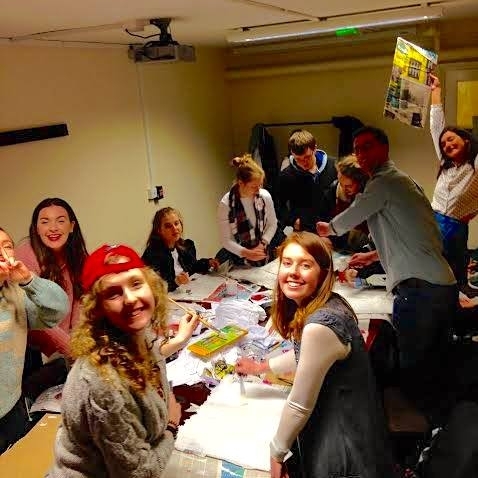 You can get involved backstage in sets and costumes throughout the year! For more information, email Joe at panto@trinityvdp.com! It's the Cast's job to make sure all the kids are having the time of their lives. They learn all the lines and dances, teach them to the kids, and perform with them on the night. The Costumes team work hard to make sure all the kids and volunteers look fantastic on stage. Its a lot of fun, and they always create amazing pieces together. Sets help bring the story to life. They're in charge of creating all the backdrops, props, and scenes. They take care of all of the stage transitions and are a big part of Panto as a whole. To get involved with sets or costumes, email Rachel and Claire at pantoset@trinityvdp.com or Conall and Emily at pantocostume@trinityvdp.com!